Websites abound offering personalized workouts and big-time results—for a price. Here's what you need to know before giving up your digits. Online personal training has exploded in recent years, and if you consider how much bad personal training occurs in person, imagine how fraught the online training world is with peril. Yet the convenience holds great allure, and even many high-profile trainers and strength coaches have begun to utilize the convenience of e-commerce to gain new clients who they may or may not actually ever "meet." I'm here to offer insight on the key things to look for before committing your money, and just as importantly your time, to training online. So before you point and click, let alone lift, read on. Just because someone is a great coach doesn't mean they'd be great for you. Answer these questions before committing to an online program, and you'll be far more likely to make the right choice—even if that choice is to avoid online training altogether. Do the programs a trainer offers appeal to you and your specific goals? Why them and not someone else? Does your trainer keep up to date on health and fitness? Do they maintain an active online presence? Education and qualifications are important, but so is accessibility. Do they offer client before and after photos showing they helped online clients transform? This is especially important if you're training for physique-based goals. What can you afford, and what do you need to get fit? Take a frank look at your budget. Does this trainer offer something you can't get on your own? The final and most important thing is to select someone who you're confident will care about your goals and your success. Online, as in life, the best coach is the one who will do everything in their power to help you be successful. We all prefer to work with compassionate people in real life, and training online should be no different. The most basic, entry-level version of online training is the simple "Members Only" private video access. This is your average $10-per-month option where you simply log on and view "private" training, nutrition, and motivational videos. Often, trainers will phrase their membership like you're joining a community; they may call it the "inner circle" or somesuch. They also might offer a selection of workouts that you could follow from home or in a gym. The pros: It's affordable. Most people can justify $10 per month for good info, workouts, and nutritional advice. Also, having 24-7 access to videos and being able to review the information numerous times helps you learn. The cons: These programs are not personalized. They are written and presented in a one-size-fits-all style, so it's your responsibility to make it fit your training style. It also goes without saying that these programs are tough for people who are not self-motivated. There is little to no accountability—aside from knowing that you're spending money, of course. How to make it worth your money: Pick a trainer who has a program that is built toward achieving your goals, and who creates workouts you can actually complete. If you work out at home in your living room, don't pick a gym-based plan. Likewise, if you want to focus on fat-loss, look for a fat-loss specialist. The next step up from the "members section" is the online "accountability group." These are run in various formats that include training, nutrition, or sometimes both. These types of programs range typically from $30-75 per month. In exchange, you have some degree of access to an actual personal trainer. Differences in price often reflect the number of workouts you have access to or the frequency of your customized feedback. In this model, your trainer will normally send you workouts based on your stated goals, or you'll download them from a database and the trainer will help you to arrange them into a program. Often, they'll also want to create a nutritional outline at the beginning of the program. Clients report back to the trainer via email, phone, or webcam. An initial assessment is normally performed before beginning these types of programs. That way, the trainer has an idea of your makeup and your goals. The pros: Clients are held accountable to someone, which is a huge step. People are far less likely to eat pizza and ice cream daily if they need to submit food logs every seven days. The same goes for working out. Most people will do more when being supervised, even if it is by someone online. The cons: These programs work for people who are honest, and only those people. 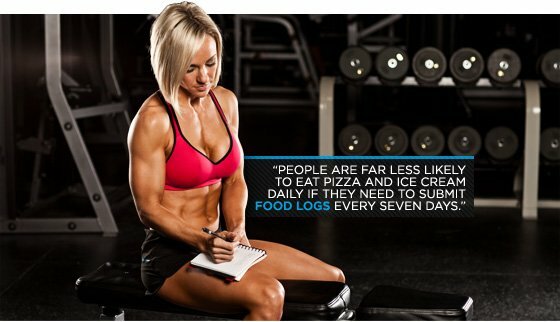 That may sound like almost everyone, but believe me, it's easier than you think to start fudging diet logs and embellishing workouts. For some people, it's a major commitment to track everything they eat and do, so make sure you're committed to it. Even though you have a trainer, the responsibility still rests squarely on your shoulders. How to make it worth your money: Choose your site carefully, and then make the most of it. Accountability groups (when done with assessments), individual goal-setting, authentic trainer-client contact, and timely feedback are fantastic options. They can be well worth the money as long as you, the client, are committed to being successful under the program you've chosen. The last option I will touch on is true one-on-one, fully-personalized online coaching. This is a great option if you have an unlimited budget and benefit from a lot of hand-holding on your fitness journey. These types of programs include assessments, a program made just for you, constant feedback, goal-setting, high-level accountability, numerous progressions, and regressions if necessary. Your trainer is regularly accessible—maybe even more so than a local trainer—via email, phone, text, or webcam, which makes sense, because these services can cost $150-$400 or more per month. The pros: A personal coach is great for motivation and feedback. Program adjustments for training and nutrition are crucial for many people as they progress through programs, and this trainer will provide them. Clients will learn plenty from these types of programs and be given all the tools to be successful. The cons: For many, paying hundreds of dollars for an online trainer is simply too expensive to justify. The other pitfall is that, even with videos, phone, and regular contact, the trainer is not physically there with you to correct your mistakes in the gym. For some people this is not an issue, but for beginners with limited mobility and flexibility, it can be. How to make it worth your money: If this is the option you choose, then money is probably not an obstacle. 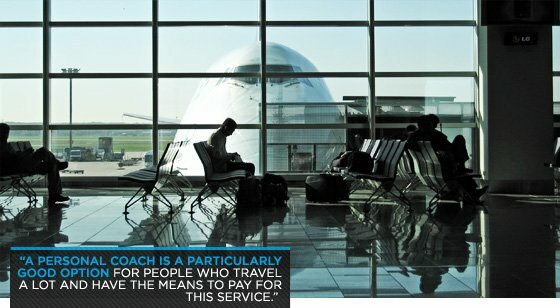 A personal coach is a particularly good option for people who travel a lot and have the means to pay for this service. If you are a motivated person who wants to reach a higher level in your personal fitness, an online coach can help guide you. It's never as good as being there in person, but it qualifies as the next best thing.